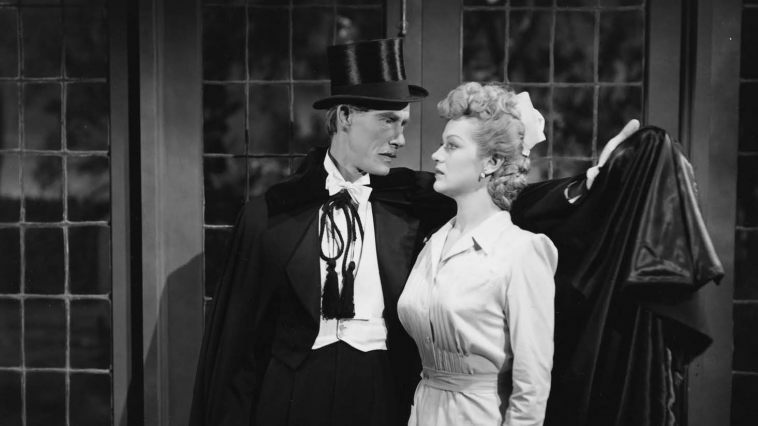 John Carradine returns as Count Dracula, introducing himself as Baron Latos to Dr. Edlemann (Onslow Stevens ) and seeking a cure for his vampirism. Edlemann discovers a “peculiar parasite” in Dracula’s blood, and believes he can cure him through a series of transfusions. But the Count, that sneaky devil, has his fangs set for Edlemann’s pretty nurse Militza (Martha O’Driscoll), whom he hypnotizes with those hypnotic eyes of his. 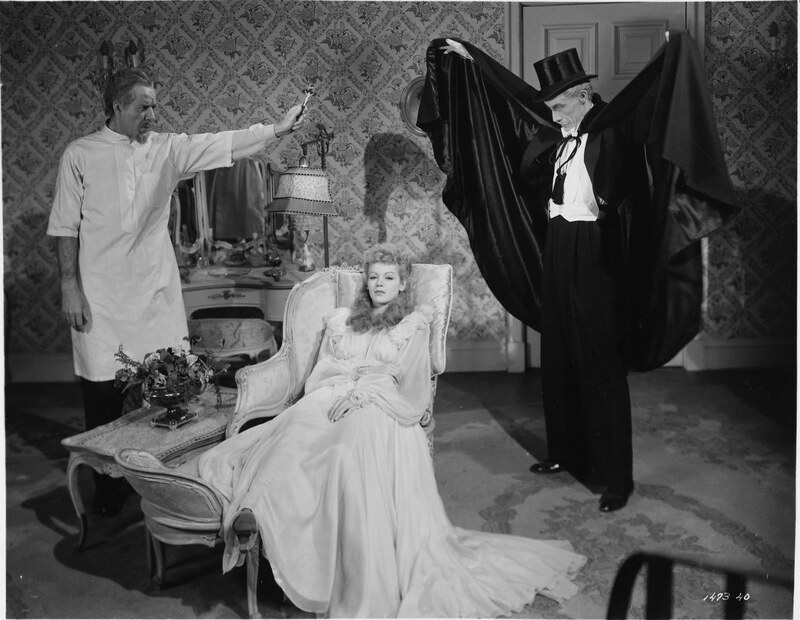 Drac reverses a transfusion, and turns Edlemann into a Jekyll & Hyde-type homicidal maniac. Also looking for help is Larry Talbot, aka The Wolf Man, seeking relief from his lycanthropic curse. Lon Chaney Jr. once again takes the dual role, sporting a pencil-thin moustache this time (for his “Inner Sanctum Mysteries” series”). 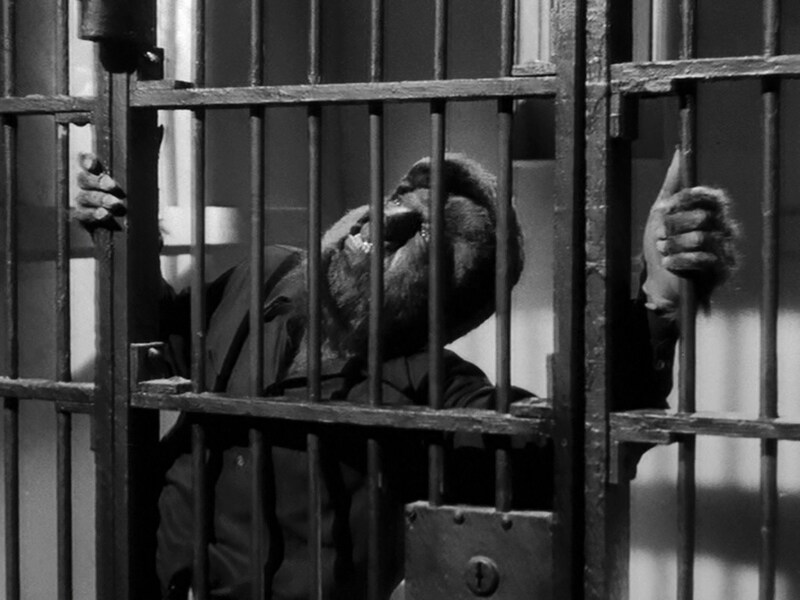 Talbot, fearing the full moon, gets himself locked in the local jail, where Edlemann and Inspector Holtz (Lionel Atwill, in his fifth and final different part in the saga) watch him transform before their very eyes. Tired of waiting for a cure, Talbot throws himself into the sea below Edlemann’s estate, is rescued by Edlemann, and the pair find the body of Frankenstein’s Monster in a cavern. The procedure on Talbot is a success, and Edlemann promises his hunchbacked nurse Nina (Jane Adams) she’s next on the list. But Edlemann, now gone mad thanks to Dracula’s tainted blood, kills his servant Siegfried (Ludwig Stossel, no relation to John!) and Nina, and brings The Monster back to life, just as Inspector Holtz and a gang of those angry villagers barge in, and chaos ensues as Talbot shoots Edlemann and The Monster is destroyed in a fiery finish lifted straight from GHOST OF FRANKENSTEIN (with Lon playing The Monster!). Carradine is good as Dracula, as he was in HOUSE OF FRANKENSTEIN (not so much in BILLY THE KID VS. DRACULA , however!). His “hypnotic eyes” rival Bela Lugosi’s, and he makes a very suave vampire. Chaney, though, is way too whiney this time around, and when he’s finally cured I breathed a sigh of relief that I wouldn’t have to listen to his complaining anymore! 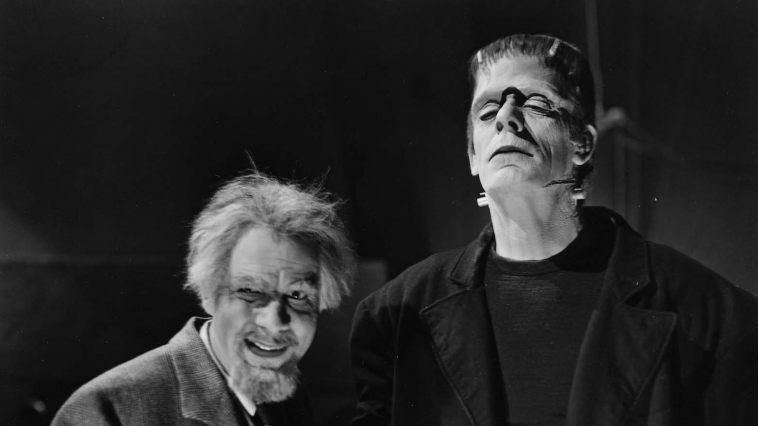 Glenn Strange, in his second of three appearances as The Monster, is once again little more than a prop. Onslow Stevens tries as Edlemann, but is defeated by Edward T. Lowe’s ludicrous script, which constantly contradicts itself, often in the same scene! As for the rest, Atwill’s done the Inspector routine a thousand times before, Martha O’Driscoll isn’t convincing as Militza, Jane Adams does manage to gain some sympathy as Nina, and Skelton Knaggs’s part as a villager is underwritten. 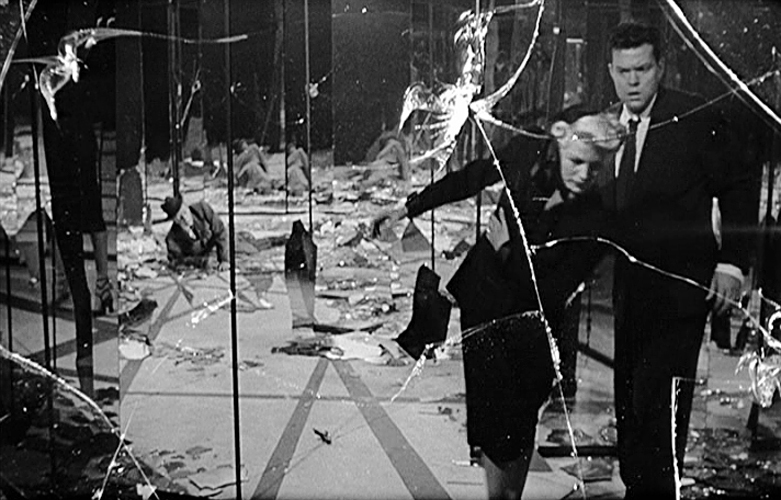 It’s not director Erle C. Kenton’s finest hour, either, though George Robinson’s cinematography helps a bit. 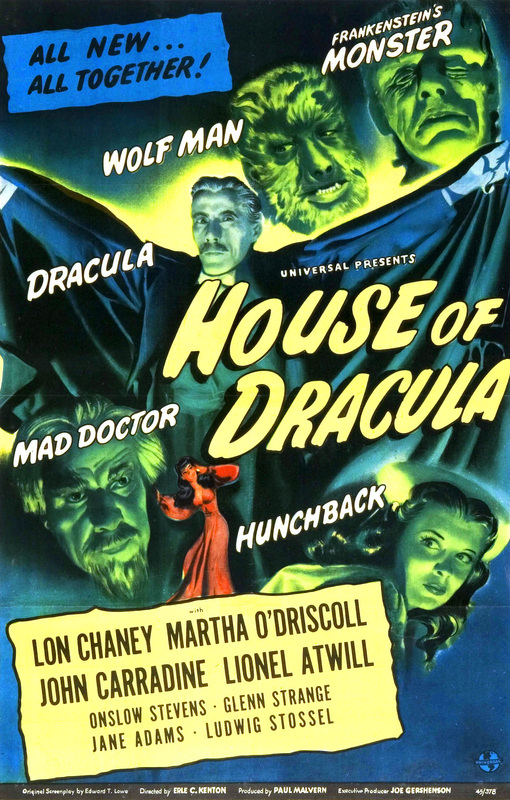 HOUSE OF DRACULA seems like too much of a rush job, as if Universal just wanted to be rid of its Monsters once and for all. The Second Horror Cycle was winding down, and though the studio would bring all it’s Monsters back for ABBOTT & COSTELLO MEET FRANKENSTEIN, it took Hammer Films’ CURSE OF FRANKENSTEIN and HORROR OF DRACULA , along with the release of the Universal Monster Movies to television with SHOCK THEATER in 1957, to fully bring Frankenstein’s Monster, Count Dracula, and the rest of the brood back to bloodcurdling life. Previous PostPrevious Halloween Havoc! Extra: Boris Karloff in THE SNAKE PEOPLE (Columbia/Azteca 1971) Complete Horror Movie! Next PostNext Halloween Havoc! Extra: A Double Dose of Alice!